This is perfect. 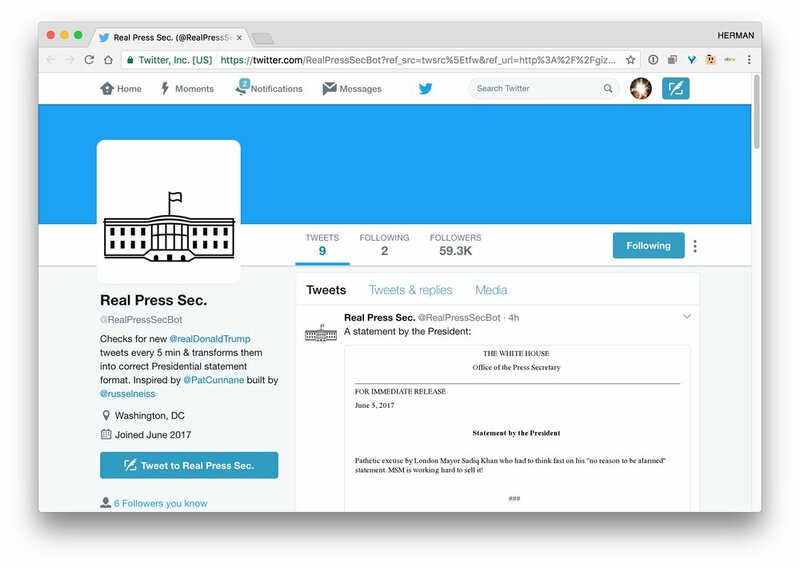 A new Twitter bot called RealPressSecBot is checking for new Trump tweets every 5 minutes and then formatting them into official White House press releases. This is noteworthy because lately Trump seems to be taking to Twitter to say a lot of weird and stupid things and somehow nobody in his vicinity has told him that anything he says publicly can be taken as official statements.